So….I finally did it! We raised the £5,000 so as promised I have shaved my head and donated the useable part of my hair to Wigs for Kids. BTW anyone wanting to know how you can donate hair can see a video by Wigs for Kids here. The strangest thing when the hair was all gone was feeling the wind on my scalp, I kept sticking my my head out the window just to keep feeling it, felt so strange but nice at the same time. Two minute shower, a two minute shower! Yes I know that’s quite a silly thing to get excited about but considering it normally takes me a good 5 minute to wash (8 if I deep condition it with oil) it’s quite nice to cut so much time out of having a shower. Cons…oh my gosh it’s cold! Even with the warm weather we’ve been having I woke up the day after with a serious headache, like I had brain freeze. And synthetic wigs? Those things itch like crazy! Now I’m kinda extra happy my hair is going to make a wig because there is nothing comfortable about synthetic wigs when they’re strait against your scalp. Greetings from Paraguay! I’ve been watching yout videos on youtube, and I think that what you’re doing it absolutely amazing! Fair play to you! That was a huge and scary step to take but you did it and I really admire you for it! (well, I admired you anyway) I wish I was brave enough to do something that drastic for charity. You look absolutely beautiful!! this is such a wonderful thing and wonderful charity to do it for!! WAY TO GO!!! I suppose it’s a different feeling for me as my hair, despite being short, is quite thick. You’re so beautiful, Klaire! inside and outside. God bless you. You’re such an inspiration to all of us! Please, never change! Wish all the best. Kisses from Brazil! You totally rock the bald look and it will look fabulous when it hits the pixie cut stage. I think it is so wonderful that you did this for such a great cause! Well done! What you’re doing is very admirable! And for an amazing cause, too! I can cut my hair as short as possible, but to shave it bald? I don’t think I can ever do it. You’re an amazing woman! You have courage, dear! And compassion above all else. Thank you for inspiring us all! Claire your face is beautiful and now its so present. you do look great with the rock star hairstyles. seriously, you look really pretty with short hair. That was such a strong and brave thing to do! And so amazing that people raised all that money, hurray! You look stunning, you’re really capable of pulling the no-hair look off! I admire you. Did you find out you my respectful compliments. you really look great with any look! it’s amazing you did this! 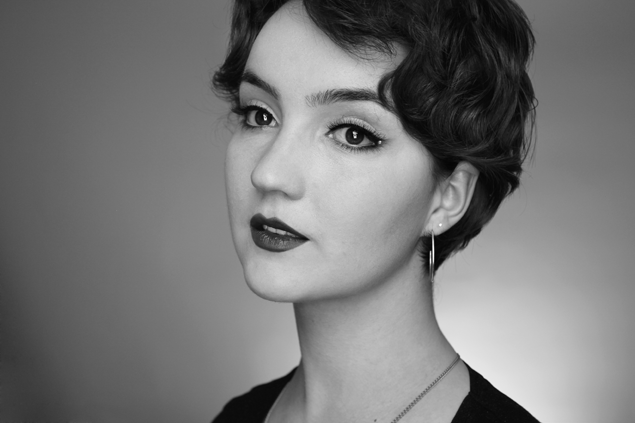 Oh Klaire you are such a beautiful person – inside and outside! :) I admire you even more than I did before now. Klaire, you are just amazing! You’re beautiful, just the way you are! To me you are like the BEST person in the world. Words cannot describe how much I admire you. Without hair, short hair, long hair….You look beautiful ! And it’s a wonderful thing you’ve done.. You are a good person ! I admire you, really ! You look gorgeous. What an amazing person you are for doing that for a great cause. You are inspiring,brave, and passionate. I’m so happy you raised the money for the charity :) I can’t wait to see tutorials based on your new look!!! 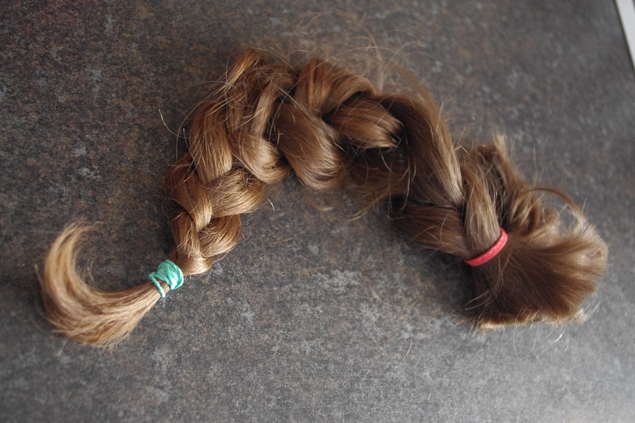 You are stunning and so generous to donate all your hair to a charity ! you have a beautifully shaped head! Plus an adorable face to go with it! :-) You look FABULOUS Dahlink! And all for a great cause…Way to go!!!! Hun, you have my deepest respect! I think it really suits you, not many people can work that look! Wauw… You are so brave. Funny, because it looks quite natural. Damn that shaved head suits you, you’ve got such a lovely face for it. So brave of you to do it as well, you looked so scared and you did it anyway. You’re awesome! 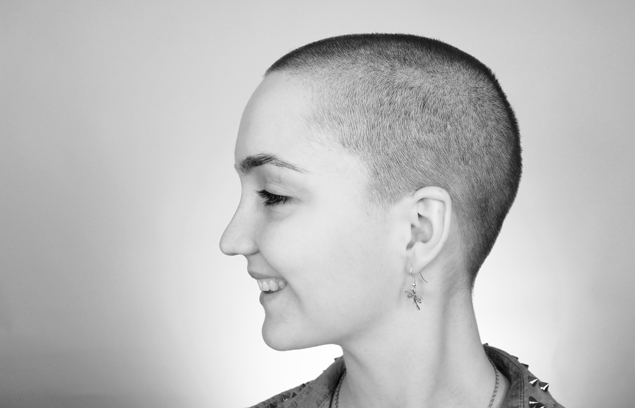 You are so brave to share your story and to shave your head! I have 2 sons who suffer from high functioning autism and my youngest had undiagnosed seizures that made learning to read nearly impossible. Once treated properly he is almost to grade level. The torment that he went through everyday was horrible. We did years of specialized vision therapy and I can tell you it’s not cheap. My boys happiness and success now make up for all the pain they have felt. Again, you are so brave. Thank you, and you look lovely! You look stunning Klaire! You’re so beautiful on the inside it shines through on the outside too! Good news… You look ADORABLE both with really short hair and shaved head. Claire you look so beautiful, you are an amazing person and I know you are making a lot a people, especially children so happy. Wear a beanie to bed to keep your head warm!! Klaire! That was so brave of you :) You still look super-cute too, by the way. Wow go you, but I don’t understand something. I thought the point of shaving was to shave off you hair in bunches and donate all the hair from essentially the roots down. What’s the point of shaving your hair after cutting off the part that you are going to donate? is it sorta like a dare in that people will donate because they want to see a girl shave their hair? I can see that it was really hard for you, congratulations on the donations. You look great with and without hair. This would be a good time to try some androgynous make up tutorials. Maybe looks that highlight facial features without being too feminine or masculine. So far I have loved watching all of your tutorials on the fabulous looks and would one day like to try one. This is amazing well done. You are so generous and someone to really look up to. I’d probably back out as soon as they held up the shaver.